About the Race The 24th Annual Marathon Sports EMARC 5K acts as the kickoff for the annual Melrose Victorian Faire. The race begins and finishes from the Melrose YMCA (497 Main St., Melrose, MA). 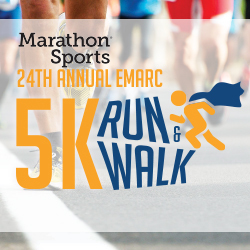 T-Shirts The 24th Annual Marathon Sports EMARC 5K will guarantee t-shirts to the first 200 preregistered runners. Sign up today to guarantee your shirt! 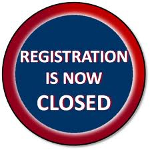 Entry Fees Single Entry/Team Member Entry: $30 on or before September 1st $35 thereafter (coed teams must register online). Kid’s Mile: Free with parent or guardian entry. COED Team Challenge Teams of Four (2 men and 2 women exclusively) will vie for the right to be crowned champions of the 23rd Annual Marathon Sports EMARC 5K, to be revered and honored for the rest of the year. If more than 4 people are entered on a team, the top 2 male and top 2 female times will be used to score. If a team does not have at least 2 people from each gender on their team, they will not be scored. Scoring takes total time of the top 2 males and top 2 females from each team. Registration costs $30 per team member until September 1st and $35 after(Team entry will be prompted at the beginning of registration. Each person will pay separately), so grab some friends and get ready to throw down. ALL TEAM ENTRIES MUST BE MADE ONLINE at www.EMARC5K.com. Kids Race So the little ones don’t feel left out, we’re excited to offer a little Under-13 competition starting from the Melrose YMCA at 9:30am. Join us for a ¼ mile kids fun run (untimed) that will be fun to watch and participate for the whole family! Please note the award ceremony following the race will consist of giving out the top 3 OVERALL male and female awards, in addition to the top male and female finisher in each age group. If you received 2nd or 3rd in your age group, you will be able to pick up your prize at Marathon Sports Melrose (401 Main St., Melrose, MA) for the 2 weeks following the race (please allow 15 minutes after the conclusion of the awards ceremony before heading over to Marathon Sports to pick up your prize). Check back at www.EMARC5K.com for the results to see if you placed after the race.